Make your work site safer. Requiring minimal application effort, the coatings go on quickly and last for years with little maintenance. By creating a protective barrier between your workers and the hot pipe or surface underneath, Mascoat Industrial-DTI reduces burn-related injuries on the job site. 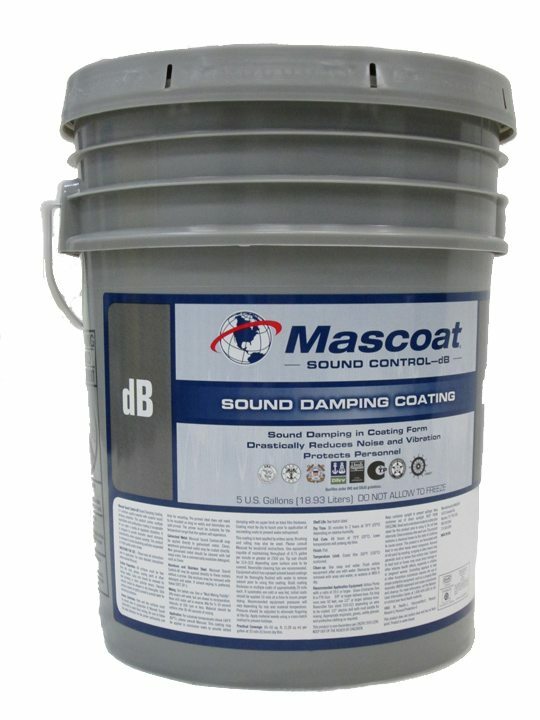 When you need to eliminate the noise danger caused by resonating metal, rely on the Mascoat Industrial-DB. Lowering noise prior to its airborne release, our coatings also keep equipment viewable and safe for regular inspection. As energy consumption accounts for more than 60% of the operating cost of a plant, Mascoat Industrial- DTI can help save a tremendous amount of energy before it is lost. It helps to maintain the product’s temperature with very little heat loss and at the same time, eliminating Corrosion Under Insulation. Because the coating allows for constant inspectability of the substrate at all times, there is almost no maintenance for the coating once it is applied. Since DTI can be applied to working substrates in a fraction of the time of conventional insulation, installation and shutdown costs are kept to a minimum. Corrosion Under Insulation (CUI) is the culmination of inadequate primer, poor quality cladding, and water. Cladding traps moisture against the steel surface which creates the perfect conditions for accelerated corrosion. This creates expensive inspections, frequent replacement, and potentially destructive damage to the substrate. Mascoat insulating products prevent CUI by adhering directly to the primed surface, not allowing moisture to contact the steel. As a one-time application, inspections are easier, rotting is prevented and costs can be exponentially reduced in the long-term. 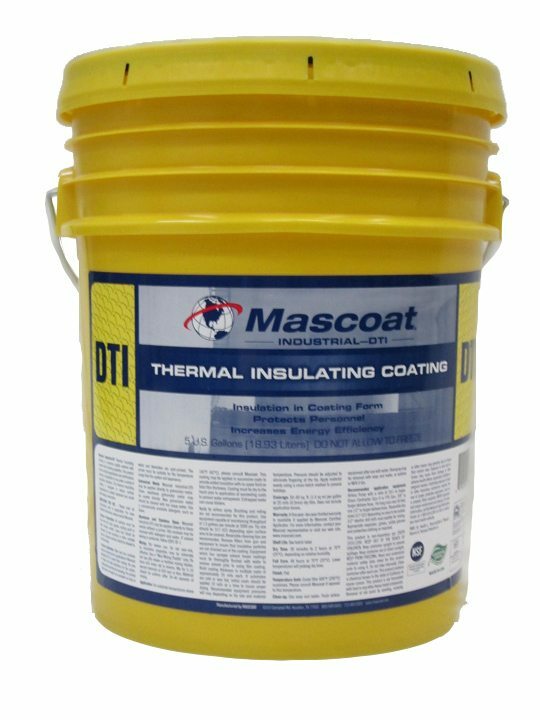 Mascoat Industrial-DTI is a water-based, ceramic and silica product designed to be a multiple purpose coating that solves insulating and Corrosion Under Insulation issues. This thermal insulation coating product fulfills niche market areas of temperatures under 375°F on all types of substrates. When you need to eliminate the noise danger caused by resonating metal, rely on the Mascoat Sound Control family. Requiring minimal application effort, the coatings go on quickly and last for years with little maintenance. And unlike conventional insulation, Sound Control coatings significantly reduce corrosion under insulation (CUI)—which can cost your facility thousands a year in equipment and insulation replacement. Protect your automotive showpiece from heat and noise with LizardSkin Ceramic Insulation and Sound Control. Both water-based coatings, LizardSkin CI and SC are two environmentally-friendly spray-on insulation coatings that are applied seamlessly and rapidly, while providing superior thermal insulation and protection against vibration and noise. You can reduce engine and solar heat transfer by 30°F or more and sound transfer by 12 decibels or more. With LizardSkin, the substrate is always protected from moisture and corrosion, while giving you a cooler and quieter ride.